You know how I said I wasn’t reviewing Christmas books just yet? Well, as part of #TeamSparkly (a group of readers helping Miranda Dickinson to promote her Christmas novella) I was lucky enough to be sent a bound proof of Christmas in St Ives. I decided to have a quick peek at it and I ‘accidentally’ read it all – well, it is just a short read! So here you have my first official Christmas review this year. First of all, what the book about? What could be better than a romantic story set in Cornwall? How about a romantic story set in Cornwall at Christmas? 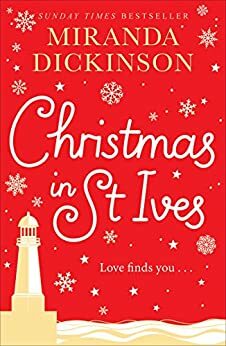 Christmas in St Ives is a lovely novella where the reader is introduced to the characters from Miranda Dickinson’s next full length novel, Somewhere Beyond the Sea. I really enjoyed the way the chapters were told from the points of view of the different characters. As well as helping me get to know them, I felt it made the story fairly bounce along. I was particularly drawn to the character of teacher Cerrie and her dedication to her pupils. Recovering from a very public betrayal and break-up, she throws herself into the school’s Christmas play more than ever and is not happy when the new teacher is asked to be involved even if he is stunningly good looking and disgustingly talented. I was giggling along at all the little things which went wrong which are of course, the things which make school nativity plays so endearing: the child with its finger up its nose, baby Jesus nearly falling off the stage, angelic singing but also angelic infighting! The story also sets up romantic possibilities for some of the other characters and other chances for personal fulfilment in their personal and work lives. However, just as one character is looking at the possibility of a happier future, another is having to put their dreams on hold. Christmas in St Ives is a romantic, magical novella in such a beautiful setting. I am really looking forward now to meeting the characters again when Somewhere Beyond the Sea is released in June next year. 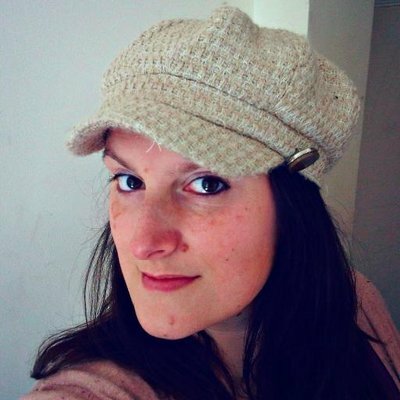 Check out the book, Christmas in St. Ives, by Miranda Dickinson, as featured on the Portobello Book Blog.